The absorbing new documentary “Best of Enemies” is a vivid look back at the pivotal 1968 election cycle. ABC News was a distant third in the ratings behind CBS (with the esteemed Walter Cronkite as anchor) and NBC (with the successful teaming of Chet Huntley and David Brinkley). With the conventions approaching, ABC figured they would need a little more than the genteel but unexciting Howard K. Smith and the still-green Sam Donaldson. 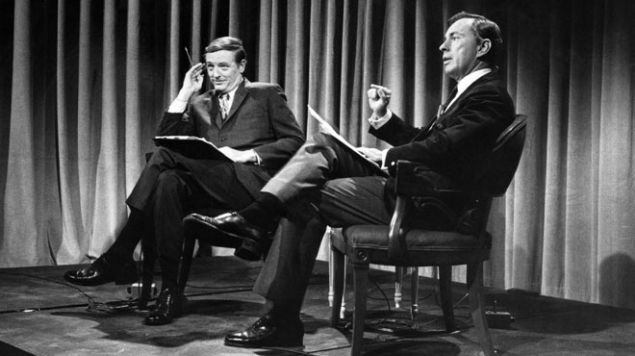 Back then the three networks, without cable competition or the Internet, were usually in the business of hewing to the great American middle ground but that was blown open at ABC when they came up with the idea of staging these one-on-one debates (five at each convention) between Buckley and Gore. They were both intellectually self-assured patricians, but that’s about where the similarities ended. The two men were well acquainted and detested each other. Buckley, as editor of the National Review and host of the PBS show Firing Line, was an unapologetic and archly witty defender of old money and an overlord business class, as well as a spearhead in the nascent culture wars. Vidal was certain that what Buckley stood for was the perpetuation of power for those who already held it at the expense of a growing underclass and the suppression of new freedoms. Buckley in turn saw Vidal, who had recently published the bestselling novel “Myra Breckenridge” with its transgender protagonist, as a dangerous precursor of a non-religious society full of moral compromises. “Best of Enemies” zips by in succession of clips from the combustible head-to-head encounters and adds contemporary commentators on media history as well as those who can breakdown debating as a “blood sport.” The recent assassinations of Martin Luther King and Robert Kennedy, race riots in several major cities and escalating protests of a disastrous war in Vietnam were all on the front burner. Both men were more than willing to hash out the issues from their side of the schism in a debate that one talking head contends boiled down to a contest to prove “who was the better person” in a proxy war over two ways of life in an increasingly divided America. Their aristocratic accents and erudite point-scoring can’t disguise the philosophical loathing each had for the other. The suave and unflappable Vidal, who came better prepared for the opening rounds at the Republican confab in Miami, is incredulous that Buckley won’t see a problem with the so-what assertion that “Freedom breeds inequality” and pins him down with certifiable quotes that Buckley advocated using nuclear weapons against North Vietnam. 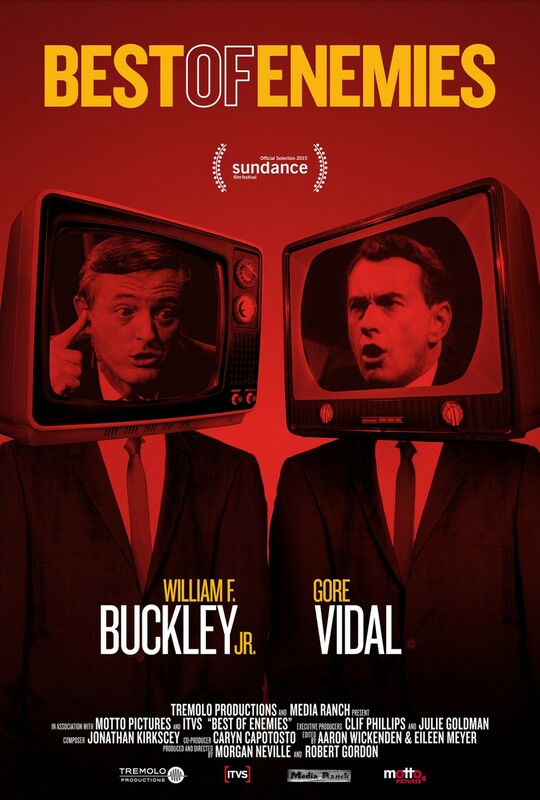 Buckley was a supporter of the law-and-order ways of eventual GOP nominee Richard Nixon as well as Ronald Reagan (in his first presidential run) and extends that to include screenwriter Vidal’s alliance with a new libertine Hollywood industry leading the country astray. The bad blood between them really came to a boil in the last debate during the rancorous Democratic convention in Chicago, where Mayor Daley’s brutish police force was indiscriminately clubbing anti-war demonstrators in the street. With some ten million viewers looking on, Vidal calmly played his ace in the hole. Not taking kindly to Buckley’s assertion that the protestors were asking for it, he called his counterpart “a pro- or crypto-Nazi.” Buckley’s face contorted as he half-rose from his seat, calling Vidal a “queer” and threatening to punch his lights out. (Vidal’s homosexuality was not quite an open secret at the time). Howard K. Smith quickly cut in from his booth to end it.